From the front inside fly leaf: Analyses how the boundaries between intellectual disciplines were formed. Looks at both intellectual authority and the popularisation of knowledge. 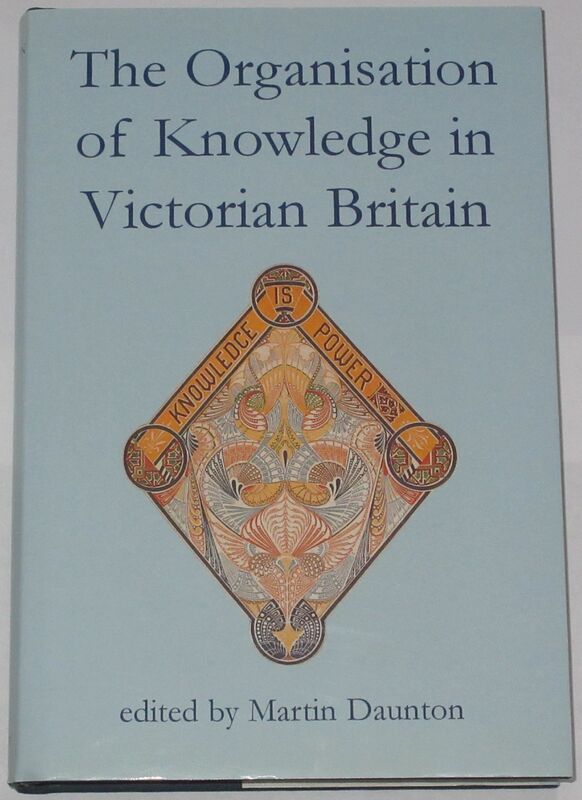 This collection of essays explores the questions of what counted as knowledge in Victorian Britain, who defined knowledge and the knowledgeable, by what means and by what criteria. During the Victorian period, the structure of knowledge took on a new and recognisably modern form, and the disciplines we now take for granted took shape. The ways in which knowledge was tested also took on a new form, with the rise of written examinations. New institutions of know­ ledge were created: museums were important at the start of the period, universities had become prominent by the end. Victorians needed to make sense of the sheer scale of new information, to popularise it, and at the same time to exclude ignorance and error - a role carried out by encyclopaedias and popular publications. By studying the Victorian organisation of knowledge in its institutional, social, and intellectual settings, these essays contribute to our wider consideration of the complex and much debated concept of knowledge. The condition of the book is generally excellent. The dust jacket has one or two very minor scuffs but is clean and bright, the spine is tight and intact, and all pages are clean, intact, unblemished and tightly bound.